With the nights drawing in, the days getting shorter and the clocks just about to go back, we know that xmas is just around the corner. If you order your bi-folds now we can guarantee that we will be able to install them in time for your Christmas holidays and celebrations. 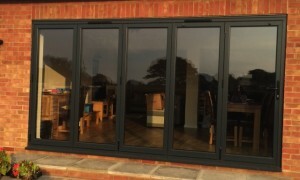 Bi-folding Doors really are the ultimate home improvement, they are an award winning product, which are bespoke and made to measure & will fit into any Hampshire home. They have the ability to command extra views, with their slim profile and wide expanse of glass. They will seamlessly transform your home or office living space. 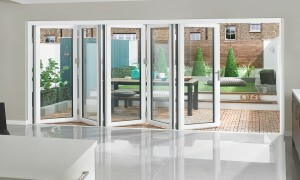 Bi-folds are available in a wide choice of colour, profile and configuration options, you can choose to have them opening inwards or outwards and you also have the option of low threshold and door furniture colours. 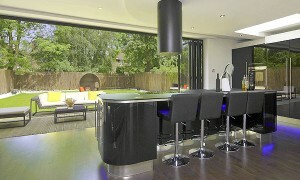 Waste no further time dreaming about Bifolding doors and give us a call, making that dream a reality. We are a family run business whose purpose is to achieve perfection, we pride ourselves on our high level of customer service, knowledge and experience. We offer you not only the highest quality products but a service equivalent.